Nature's remedies for improving and maintaining health. Frantsila Herbal Tinctures include a wide range of herbal extracts, dietary supplements and energy drinks. In case of e.g. stomach problems, flu, insomnia or for just strengthening general condition or enhancing immunity...you will find a Frantsila natural remedy to treat most of the commonly occurring health problems. More than 30 years of experience in giving phytotherapy training (use of medicinal herbs), refers to the know-how that has been used in Frantsila product development. The development and manufacturing of herbal tinctures and nutritional supplements is based on a holistic understanding of human health needs. In product development, information about folk traditions combined with modern research is used in order to achieve the best results. 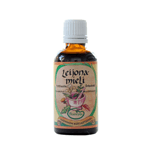 Herbal Tinctures are made in a traditional way, using dried herbs in an alcohol solution. The gentle process ensures that herbal active ingredients are obtained and preserved to the largest possible extent. Dietary supplements in form of herbal tinctures act quickly, because they are absorbed through the mucous membranes in the digestive tract into the bloodstream. Frantsila uses more than 100 Finnish organically cultivated or collected plant species in their Herbal Tinctures. 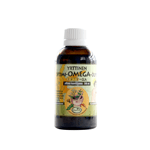 These are general instructions for Herbal Tinctures in form of drops (50ml bottle), product-specific instructions can be found on this website and/or on the product packaging. A general guideline for adults 10-20 drops 2-4 times a day or when necessary, e.g. ½ hour before bedtime. 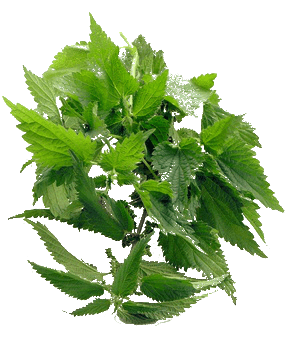 In an acute situation, the Herbal Tincture can be taken every 30 minutes, e.g. in case of ear infection. Use the lowest mentioned dosage for the young and elderly people. For children use 1-2 drops/year of age, mix the drops in hot water first so that the alcohol evaporates (+ 69oC). Take the drops preferably with water - already a tablespoon is enough, but more abundant drinking of water is recommended. Externally either pure or diluted, e.g. for skin disinfection. Take only one Herbal Tincture Mixture at the time, Herbal Tinctures of One Herb can be used simultaneously with an Herbal Tincture Mixture. Persons that are allergic to certain herbs should naturally avoid the herbs that they are hypersensitive to. Hypersensitivity can be tested by applying the product on a small area of the inner wrist, where allergic reactions are generally visible within minutes. Herbal Tinctures are not classified as medicines. Medication prescribed by a doctor should not be left out. Consult your doctor about the product's suitability with other medication. Herbal Tinctures should be taken at a different time of the day than conventional drugs. 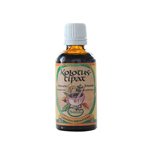 Herbal Tincture therapeutic effects are preserved for at least 5-6 years. After the best before date, the product is often still usable for several years. These recommendations / tips are provided for information purposes only. They will not replace diagnosis by a doctor, nor do they form a record of execution. 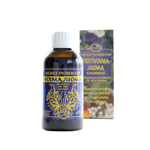 Herbal Tinctures and Health drinks: Phytotherapy with Finnish organic herbs.